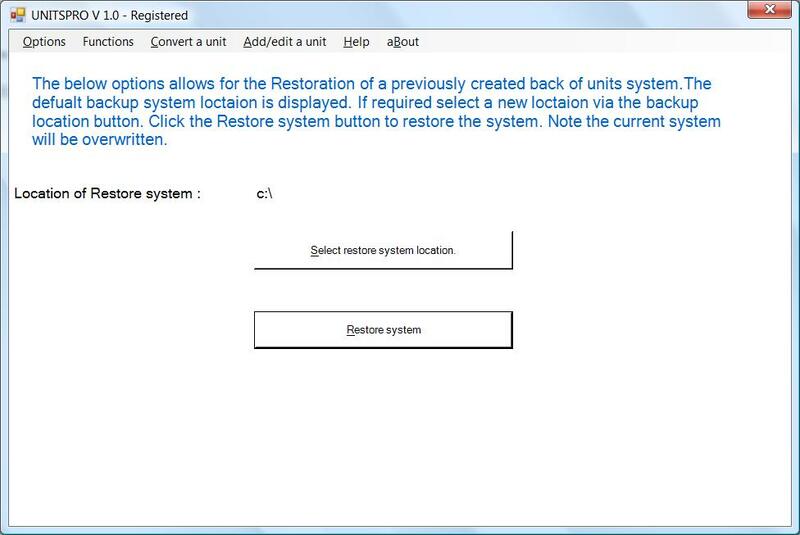 This menu option allows the user to restoreall unit conversions within the program. The Convert a Unit can be obtain from the menu Functions > Utilities > Restore. The location of where the restore will exist is displayed. If the user wishes to change the location, Click the "Select restore system location" button to select a the location of the backup. Click the "restoresystem" button. 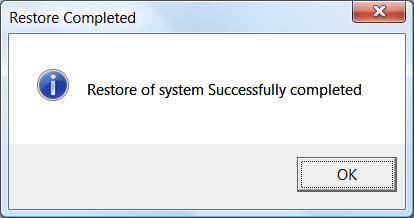 If the restore is successful a successful display message will be displayed.